For those who are fans of indica dominant strains, this should be the next thing that you add to the list. The Dawg Daze strain is definitely going to give you the best experience when it comes to its high. It the ratio of 70:30 for indica:sativa respectively. It is indica dominant mostly because of its parents. It is a cross between the Chemdawg and Super Silver Haze. The dense buds are part of the many characteristics that the strain has picked from the parents. With its high yield, you should get more people being comfortable to continue growing it. The yield is not the only thing that drives more people to look for it. The potency is one thing that makes it quite favorable among many users. 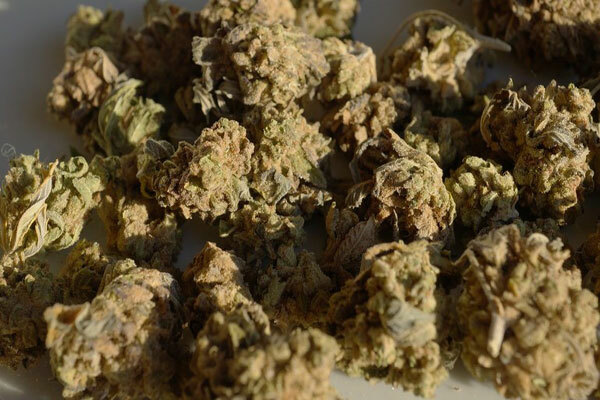 With a THC level of about 18%, it is within what most people find as strong strain. It is true as you will get to experience one of the best highs you have never had in a long time. It is quite a strong strain and thus newbies should take it slow. If you are a beginner try to take just a few hits of a joint. Once your body is used to it, then you can go rampage on it. The best about the high of the joint is that it kicks in almost immediately. You do not have to worry about using the several joints to feel high. The aroma of the joint should easily keep you hooked on it in no time. The aroma is best described as being a blend of lemon and a bit of skunk scent. You might also smell some sweet undertones of resin other than the lemons. The taste is not any different. It comes with lemony flavor mixed with skunky flavor too. This is not bad considering there are worst tastes you can experience with many other types of marijuana strains. Some have commented that the smoke might make you feel that your throat is burning, but you get used to it after a while. This is different when you exhale as it tastes the same as the super silver haze marijuana strain. So, if you have smoked it before, you should note the aftertaste. It goes without saying that most people who are into marijuana strains would want to grow this type of strain. The good news about growing the strain is that it does not need much when it comes to skills. The strain seeds are often easily available for you to buy. It can take a few skills of preparing the soil and you are good to grow it. Make sure to follow any tips given about growing the strain. It is without a doubt one of the easiest when it comes to growing. Since it is also resistant to diseases, you should not have to watch over it all the time as it grows. Patients are always looking for a strain that can keep them calm and still provide the best medical uses. For this one, it will make you feel creative from the moment you smoke it. You will be in a position to see things in a different perspective than before. This effect makes the strain great for day time even if you have to work. It is also great for those who have medical conditions such as depression, muscle spasms, aches, and chronic pain.